Plastic pollution is one of the worst environmental disasters of our age. In 1950, the world’s population of 2.5 billion produced 1.5 million tons of plastic; in 2016, over 7 billion people produced more than 320 million tons, and this is set to double by 2034. There are 5.25 trillion pieces of plastic debris in the ocean, which can take hundreds of years to degrade. It is estimated that 100,000 marine mammals and a million seabirds die at sea every year through entanglement in and ingestion of marine litter. Despite appearing to be solely a coastal issue, the problem can originate inland as any waste from littering, sewage, or poorly managed bins and landfills near waterways can find its way to the coast. Surfers Against Sewage (SAS) is a national marine conservation and campaigning charity. The majority of plastic pollution its 40,000 beach clean volunteers find is single-use. However, SAS recognised we cannot just pick our way out of the plastic pollution problem. 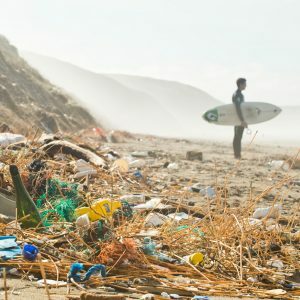 It identified that solutions are needed to stop plastic pollution at source and that empowering and connecting businesses, local government and community groups is essential to changing behaviours. Plastic Free Communities is a national initiative designed to do just that and the only holistic, step-by-step framework currently galvanising community action to reduce local over-reliance on avoidable single-use plastics. The initial aim was to establish 125 plastic free communities by 2020. In the first six months 208 communities, with a combined population over 19 million, signed up – seven of which have already reached plastic free status. Importantly, communities don’t need to be coastal to work on this project, or even based in the UK. As a result the campaign has allowed SAS to reach and educate more people on the issues of marine litter than ever before. 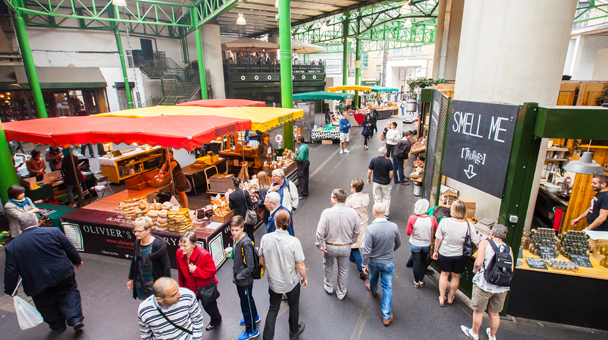 Following 2017’s terror attack, Borough Market in south-east London wanted to demonstrate it was back in business and looking to the future. Putting the environment ahead of profit, it has stopped the sale of single-use plastic bottles. Instead, to ensure that visitors to the market had access to drinking water, it installed free-to-use fountains which are now being used by an average of 6,000 people per week. National and international print, online and broadcast coverage has far exceeded initial expectations. By creating a communications campaign that shone a light on wider sustainability commitments, the market has established itself as a leading force in the fight against plastic pollution, and is still receiving media requests for comment and interviews months later. The market is now working on further opportunities to reduce the environmental impact of other packaging used by traders.